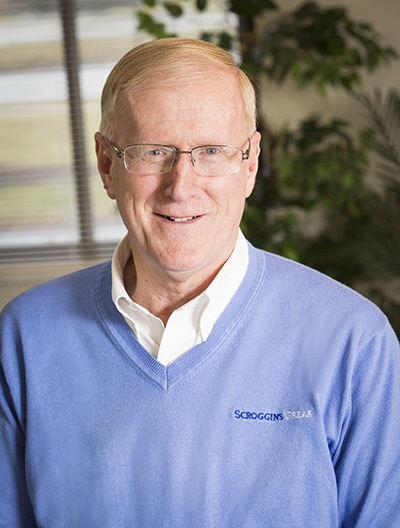 Before ScrogginsGrear was created in January 2014 through the merger of Clayton L. Scroggins Associates and Grear & Company, Terry was president and owner of Grear & Company for more than two decades. In that role, he served as a hands-on president, consulting with clients on business sales and acquisitions, valuations, profitability, finances, vision planning and taxes. Under his leadership, the firm grew to be one of the largest and most respected CPA firms in the Cincinnati area. Prior to Grear & Company, Terry spent 13 years with Grant Thornton, an international public accounting firm where he performed client responsibilities and was also director of personnel in an office of more than 100 employees. Through the years, Terry has served as officer of several fraternal organizations and has held positions on numerous boards, including a local bank and private school. He was the founder and co-pastor of an interdenominational church. He also sponsors and speaks at seminars about business and family management techniques, prioritized balanced living, business values, and other topics. In 2012, Terry and his daughter Jill wrote a book titled, Could Jesus Have Been a CPA?, a book describing some of his experiences following God in the workplace. Terry is married with two children and four grandchildren. He resides in Monfort Heights, Ohio, with his wife, Sally.